Earlier in the week, as many as two drones were reportedly seen flying over Gatwick Airport on Wednesday, December 19, and Thursday, December 20, prompting flights to be delayed and a major investigation into the incident to be kickstarted by the Sussex Police. 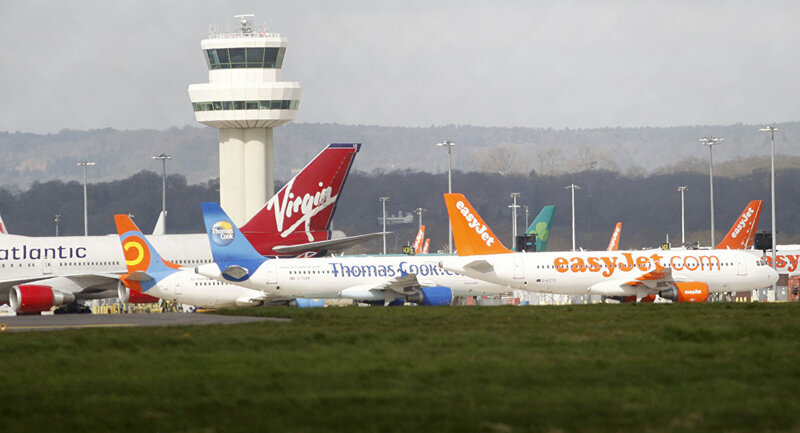 Flights have now resumed at Gatwick Airport in the British capital, the airport authorities said. Another drone stops flights! My in laws lost a day of their hols already, they are almost there now thank goodness. — PaulineBrown (@ThePaulineBrown) 21 декабря 2018 г. — Andrew clay (@Andrewc35718791) 21 декабря 2018 г. "Sussex Police is supporting the airport and is proactively deploying significant resources to seek and locate the drone and its operator and to ensure the safety of the travelling public and all those in and around the airport", Sussex Police said in a statement, adding the renewed drone activisty is being investigated. No further details on the subject have been reported. By Friday morning, over 50 sightings of the unmanned devices had been registered since 9 pm on 19 December, when the airport was closed for the first time, RTE reported, quoting Detective Chief Superintendent Jason Tingley of Sussex Police. He reportedly stated that shooting the drone down was an option as other strategic options failed. "We will do what we can to take that drone out of the sky and remove that disruption so we can get Gatwick back to normal. One of the options is to use firearms officers if that presents itself — they have been out on the ground today and that's a consideration and a tactical option that's open to us", he noted. Per Tingley, there are "a number of factors in terms of range, the height of the drone and the likely impact on us firing at the drone but that is a tactical option open to the gold commander who will make a decision based on the information available to them at the time". 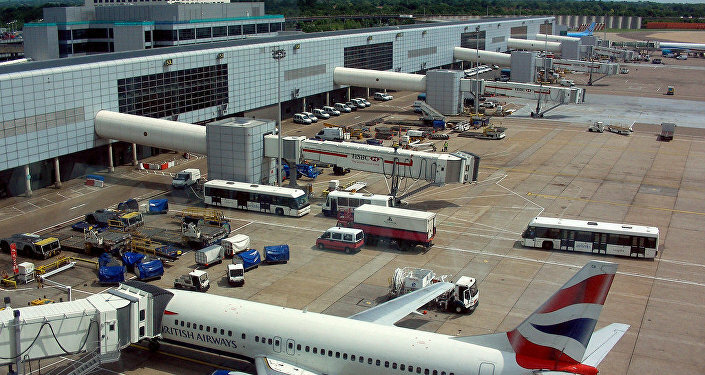 A Gatwick Airport representative has declined to say whether the drones would be shot down, but announced that they have deployed extra measures against the drones. One of London's biggest airports, Gatwick, reopened at 3 am local time on 20 December but closed againt 45 minutes later in the wake of new drone sightings along the runway. The incident has brought severe disruptions to the airport's operations, rendering some 120,000 people unable to fly to their destinations.